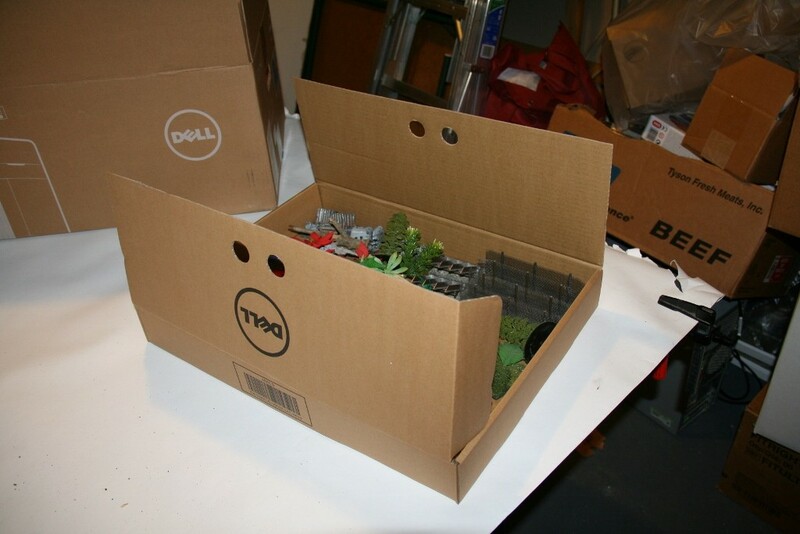 Terrain Storage Tutorial: Fit All of Your Hills in One Box! HomeMiniature HobbyTutorials & GuidesTerrain Storage Tutorial: Fit All of Your Hills in One Box! Having good terrain is crucial to any wargame. Playability, durability and aesthetics are all important factors to consider but almost as important as these is terrain storage. 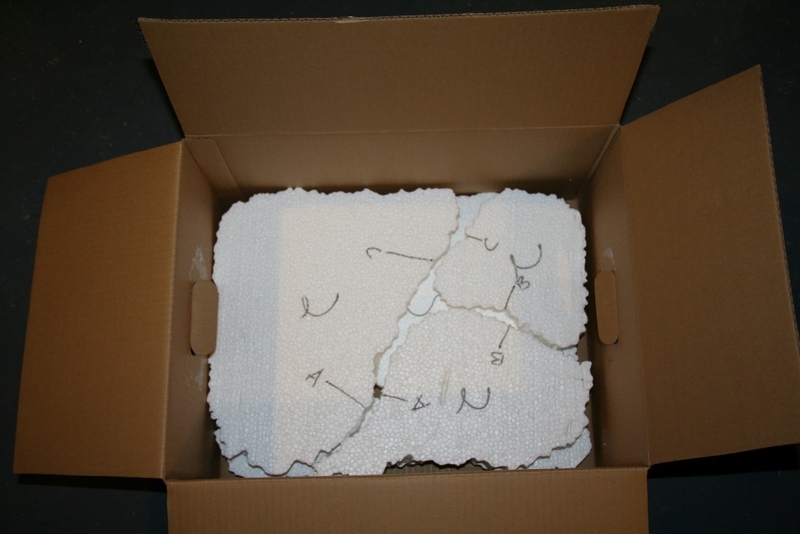 In this tutorial I show how I fit enough terrain for a 4×6 gaming table into a single box. I started with the box. You will want a sturdy box that is large enough to hold everything you’ll need but small enough to be handled easily. In my case I am using a computer box that measures 14.5 inches by 19 inches on the inside and 10 inches tall. As an added bonus my box came with an accessory tray. It held the keyboard and other accessories but it’s great for holding a collection of barricades, craters, and other small terrain items. You could accomplish the same thing with a couple of shoe boxes or similar containers. Once you have selected your primary container and determined what you will use to hold the small terrain items you can fill in the rest of your container. Stepped hills are an easy way to do this. Accounting for the insert tray I have about 6 inches of height to fill, enough for three layers of two inch high hills. I want to optimize this space so I will basically fill it with styrene foam and cut away as little as possible to create my hills. Starting with a slab of foam that is big enough to fill the box end to end I draw out some hill shapes. I don’t want to spend hours trying to puzzle all of the hills back into the box after every game so before I cut them out I mark the hills so I know how they fit together. Where each hill meets another I use a marker to draw a line connecting them and I label each line at both ends. 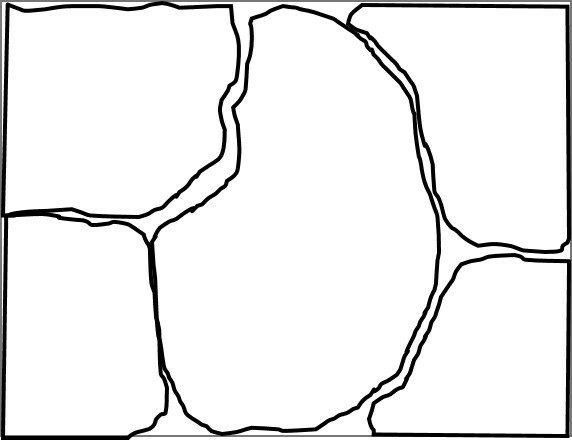 Then I add a layer number to each hill, in the diagram this will be layer one. Finally, I make some hills! 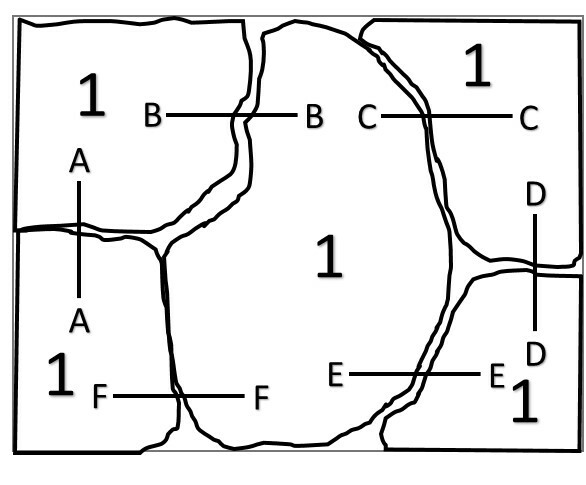 Mine are made from expanded styrene (the stuff made of beads) because I got a bunch of it for free but if I were buying it I would go for the extruded type because it’s more durable and easier to work with. 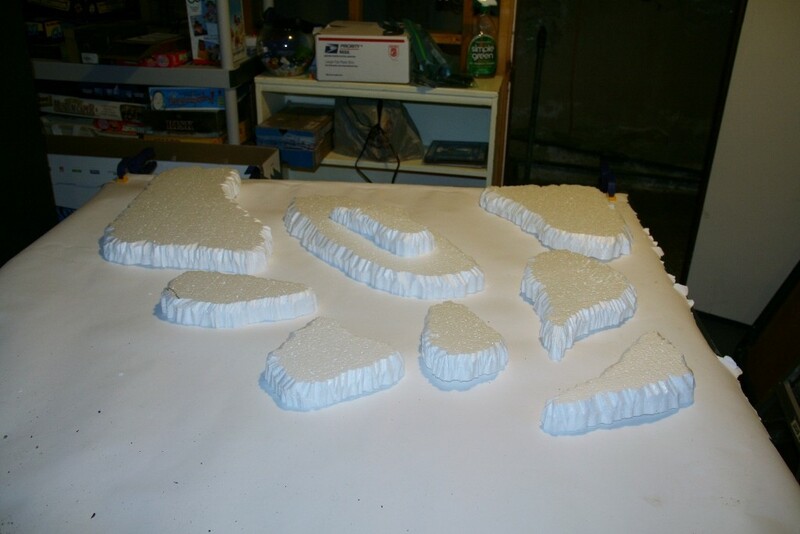 I used a knife to cut the rough hills apart then a hot wire cutter to shape the hillsides. This is a pretty standard technique so I won’t go into much of the details here. The important item I am adding is to make sure your labels are on the bottom of the hills. They won’t do you any good if you paint over them! 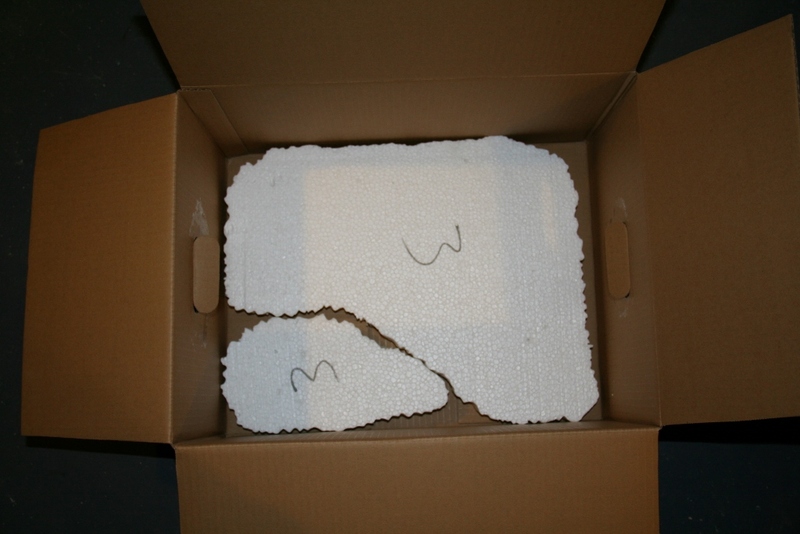 The next few shots demonstrate how I layer my hills back into the box, using the labels as a guide. 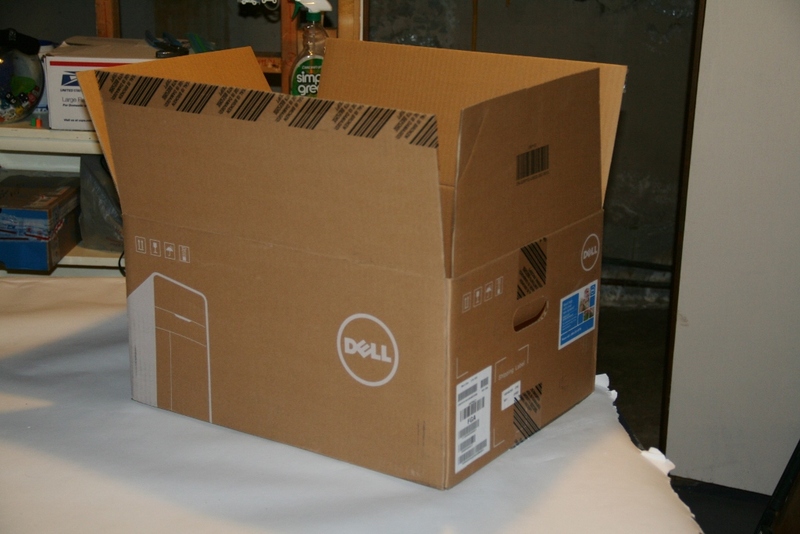 My box is 19″x14.5″ on the inside, 275.5 in squared. 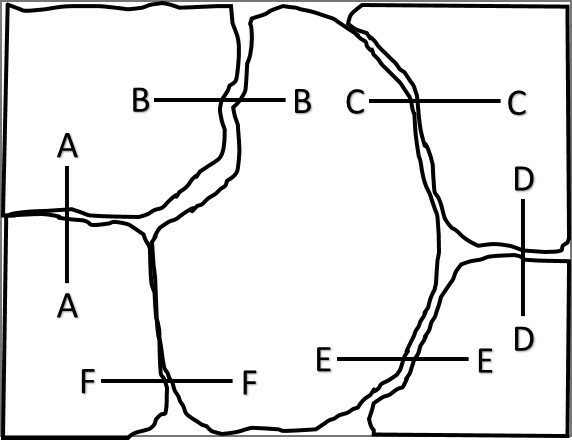 3 layers gives me 826 square inches or 23.9% of a 6×4 table. If I stack smaller pieces on top of the larger ones to add height it reduces the overall footprint but I also have two forest plates and the tray full of trees/barricades/craters/etc. in the box so all together the one box holds plenty of terrain for a standard gaming table. This is great for storage and portability! 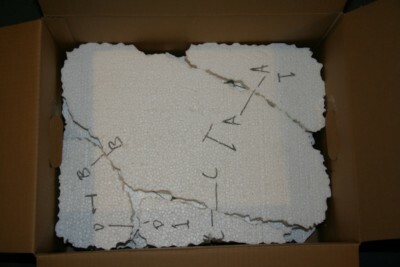 I plan to build a set of buildings and ruins to fill another box but that will take a little more time and planning. For now I have to get these hills painted! This is my solution to having enough terrain to fill a table properly without giving up a significant portion of my storage space to do so. 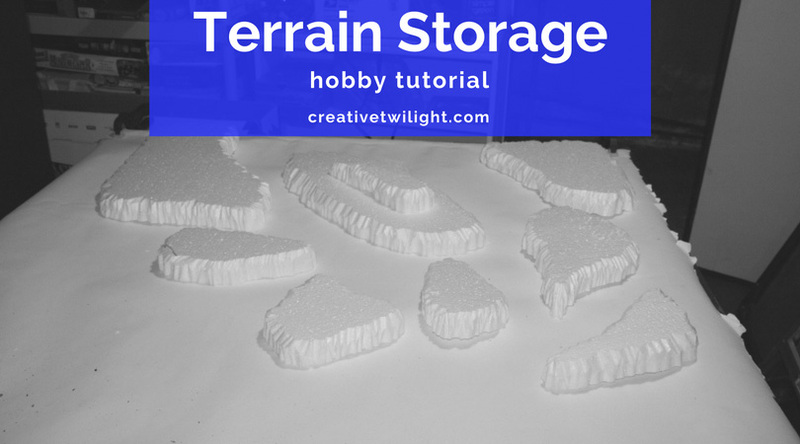 Do you have any tricks for storing your terrain? I put the first coat of paint on them last night and am hoping to put the second coat on tonight. With a little luck I should have them ready for a Monday post. Good article by the way. Forgot to mention that in the first comment.